PCHEM listed on Nov 26, 2010. Last 2X, once touching RM6.38 level, it will retrace down to RM5.95 level rebound. 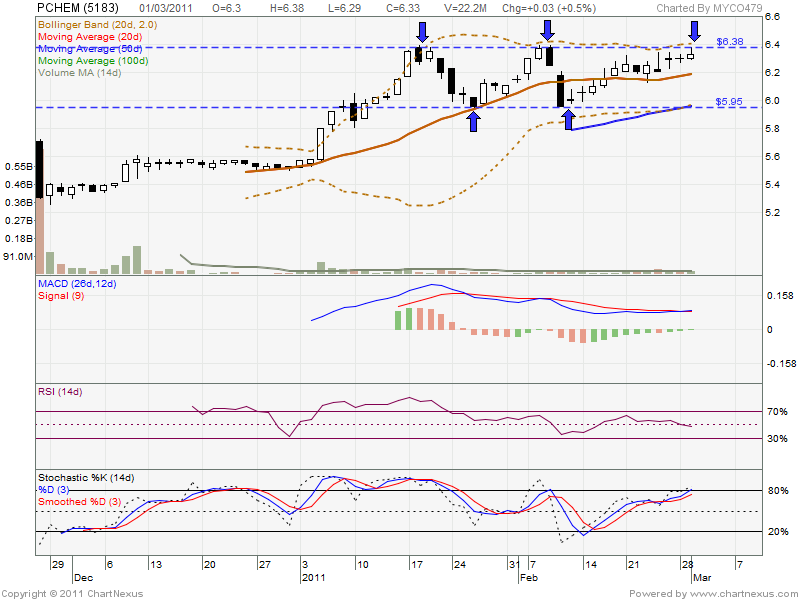 So, RM6.38 is current resistant & RM5.95 is current strong support level (also MA50 support level). 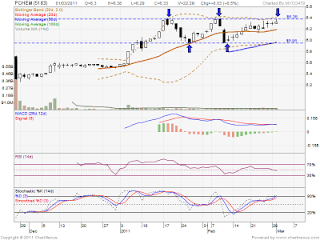 As today (March 1, 2011), it have been attempt 3X at RM6.38 level, will it break up this level of resistant? Or retrace down retest RM5.95 again?